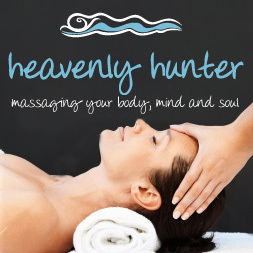 Heavenly Hunter offers a range of wonderful massages and treatments to complement you Hunter Valley Experience while staying at the Mercure Resort Hunter Valley Gardens. We specialise in the ancient Hawaiian massage styles of Lomi Lomi, Kahuna bodywork, ili ili Hot Stones and our all natural therapies. We also offer Shiraz Pizzazz body scrubs, Heavenly Feet and Facials and our Heaven in the Hunter indulgence experience. Our own Mana from Heavenly Hunter hand-made with love organic products are used in all our treatments and are available for purchase.